Local government is an essential part of New Zealand’s democracy, providing local infrastructure and leadership, facilitating economic and community development along with strategic and financial planning and decision-making (in consultation with communities) on current and future key issues. Today, our local councils deal with critical issues such as protecting our environment, adapting to changes driven by climate change, and social issues created by housing availability, changing demographics, diversity and inequality. I have recently written a report on the ways in which citizens and communities ‘have a say’ in local government, through the ideas that underlie the debate around subsidiarity (decisions being made closest to those affected by them), through political participation, and through the right to participate as citizens, particularly in the three yearly local elections. My goal has been to highlight the way in which ‘having a say’ has changed in the last few decades and what can be done to ensure participation improves. Having a say in our local communities depends on several key aspects of local democracy, including: how involved one feels in their local community, the ability and ease of being involved (including the level of information available to facilitate this involvement), and the right to be there, to influence decisions made and to be heard. Starting with the ideas around subsidiarity we need to have a debate in this country about the size of our local councils and the connections that they have with their local communities. To date, this debate has focused on the arguments around size and efficiency (especially in relation to recently proposed amalgamation schemes), despite the lack of sufficient evidence to support this model. Rather, we need to seriously consider what size of council best promotes local democracy, how to increase awareness of our local representatives and the policy decisions being made, and we need greater simplification in the process of having a say as members of our communities. It is clear, in particular, that a few councillors representing tens of thousands of constituents does not ensure familiarisation or involvement in local decisions. It is also clear that the steady decline in voter interest in local elections is related to changes in local government and in the way local elections are run. A more co-ordinated approach to running local elections is needed – an approach that provides for a comprehensive information campaign for voters and increased access to information on those who are standing as candidates for election. There is clear evidence that an active campaign to encourage voter participation can have a positive impact on voter turnout. For instance, in Auckland, prior to the 2016 local elections, a council run ‘Love Auckland’ campaign targeted at younger voters; turnout increased among 18 to 34-year-old voters by 17 per cent. A major campaign across the country in the six-month period prior to the October 2019 local elections would ensure consistent information on local government and the local election process. This national campaign would also point voters to sources of specific information on the local elections in their own areas. The Electoral Commission is ideally suited to doing this, having already undertaken well-known and successful campaigns to enrol voters (especially through the use of the orange man). Local councils must also be required to take a proactive approach to both publicising local elections and providing information for voters on candidates standing for election. This means they will have to collect more information from candidates standing for office (when nominations are registered) and promote opportunities for voters to meet with and learn more about those who may ultimately make local decisions, if elected. 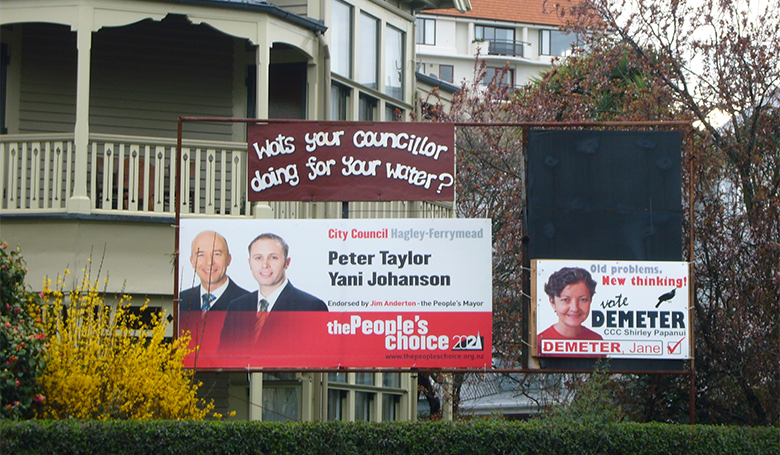 It also means that when nominating, candidates need to provide contact details (election to a local council is a political representative position and is thus, publically accountable) and understand that they need to be available to respond to or meet voters and supply information as part of their campaigns. Finally, the electoral process needs to be simplified. It is clear that two electoral systems for one election is a deterrent to voter participation. There are only three local authorities across the country where voters use one electoral system – Wellington, Kapiti Coast, and Porirua. Voters in every other local authority area have two systems. The complexity of this process has been identified by Local Government New Zealand as contributing to the decline in voter turnout (p. 15). We also need to revisit the way we decide the number of elected positions on councils. Currently, councils work to a formula based on fairness and effectiveness. But there is nothing fair about electors in one city having twice, or even three times, the number of elected councillors than another city and little effectiveness in the role of representing communities of interest when these councillors are remote and unknown to the many electors that they represent. The role of the Local Government Commission in determining representation levels and Council size needs an urgent rethink. Over time, there has been too much discretion in the way different commissioners have interpreted the guidelines for reviews and this discretion has had outcomes clearly unintended in the legislation. As well, the last decade has seen the Commission used by central government (through legislative amendments) to interfere in council business: an oversight role that raises questions about the independence of the commission and of local government itself. The right to ‘have a say’ and the ease with which this can be done is a core feature of the practice of local democracy within our communities. It is not a privilege or a favour. It is a right prescribed in statute and as such, needs to be more accessible than it is. Identifying what helps and hinders this right is one step towards ensuring citizens are as involved as they wish to be. Strengthening local voices in local government won’t happen while the debate remains stuck on why people don’t vote. Instead, a big step towards improving our local democracy is needed now. Since moving to Christchurch just over a decade ago, Jean Drage has worked for both Canterbury and Lincoln Universities, the Canterbury Earthquake Recovery Authority and (briefly) the Christchurch City Council. She has long term research interests in local government and politics, particularly issues of representation and participation. She wrote A Balancing Act: Representation and Decision-Making in New Zealand’s Local Government (2008) and has co-edited several books on local government, including Along a Fault-Line: New Zealand’s Changing Local Government Landscape (2011) and a new text, Local Government in New Zealand: Challenges and Choices, published in 2016. 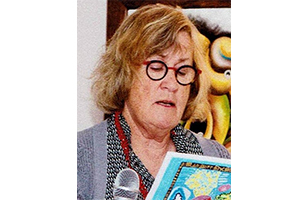 She also has a special interest in women’s representation in local government; her publications including research on the leadership of New Zealand’s women mayors and comparative factors that impact on women’s political representation in several countries in Asia and the Pacific.